A growing number of consumers, concerned by the threat of identity theft, are now turning to identity protection and credit monitoring services to protect them. One of the most popular services is IdentityForce. Why The Interest in Identity Protection Services? Identity thieves stole over $15 billion from over 13 million consumers in the United States last year, according to Javelin Strategy & Research. While data breaches of retailers, government agencies, and financial institutions often make headlines, the truth is thieves can steal your personal information in many ways. Once they have your personal information, identity thieves will sell it, or use it to open credit, hijack your accounts, apply for your benefits, and even file a tax return. Under these circumstances, many people are turning to services like IdentityForce to help them monitor not just their own accounts and name, but the dark corners of the web. The hope is to detect any signs of identity theft early. Then stop it on the spot. And get professional help repairing any damage to your credit report. While IdentityForce services may be the right choice for you, make sure you know what you're getting for your money. IdentityForce uses a multi-pronged approach to protect you from identity theft. Please note, however, that it will be up to you to guard against more traditional forms of identity theft (like stolen wallets). Click here for some ﻿tips ﻿to help you keep your personal information just that: personal. With IdentityForce, you can choose either the UltraSecure or UltraSecure+Credit package. 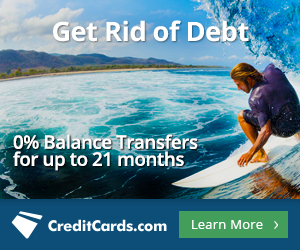 The only difference is UltraSecure+Credit includes the Credit services. With IdentityForce, you can starting monitoring your personal information to give you back control. Which means you can relax. Some of the biggest names in identity protection and credit monitoring are IdentityForce, LifeLock and Identity Guard. Dig a little deeper and you will see why we recommend IdentityForce. All three services offer very close pricing and $1 million in protection toward the cost of restoring your identity. There are a few differences to note. Customer Service: This is where we find Identity Force to really shine. And a big reason we recommend them. 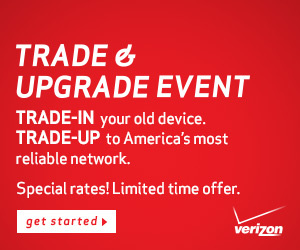 Value for Your Money:​ Each service offers different levels of plans. For instance, LIfeLock offers a "basic plan" starting at $8.99/month. But it is very basic. Credit and ID monitoring services can protect you against many common forms of fraud, particularly new account fraud in which an ID thief uses your information to open a new credit account. Still, there are many types of fraud that credit monitoring service cannot protect you against. Check and debit card fraud in which a thief uses your debit card or a cloned card to access money in your bank account. Existing account fraud in which a thief uses your existing accounts to commit fraud, such as using your card number to make a purchase or a withdrawal. Social Security number or tax refund fraud. An ID thief may use your Social Security number to get employment or for illegal transactions, such as avoiding taxes on their income. Sometimes stolen Social Security numbers are used to commit tax refund fraud as well. Medical identity theft in which a thief uses your information to get or make false claims for medical services. Traditional forms of identity theft, where a thief physically steals your wallet or goes through your garbage to find your personal information. All that being said, IdentityForce can make it less likely that identity thieves are able to profit from stolen credit card numbers and personal information. Additionally, IdentityForce can provide you early alerts that your identity was stolen. Criminal identity theft is when a thief uses your name and personal information when arrested. In many cases, thieves use personal information to make fake driver's licenses. Often times, personal information and credit card numbers are stolen as part of a breach. In this instances, the thieves usually look to re-sell the information. 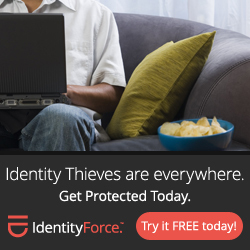 IdentityForce ​monitors the dark web looking for instances where your identity may be stolen. Which gives you the opportunity to fight back before the bad guys try to make you a victim. Are There Lower Cost Alternatives to IdentityForce? No company can prevent identity theft. What they really do is give you fast notification of fraud to get ahead of the problem. Everything an ID protection company offers is really prevention that you can do on your own. Most of the services provided by IdentityForce have free or low-cost alternatives you can do yourself -- if you are willing to put in the time. Rather than paying for credit monitoring services, you can instead request a security freeze. As with IdentityForce services, a security freeze can't stop abuse of existing accounts or other forms of fraud. Security freeze protection through credit bureaus usually costs do cost money - though probably no more than $100 over your life. In some instances, you may qualify for free protection. You can also request free fraud alerts on your credit report. Fraud alerts put a red flag on your credit reports and alert potential creditors to be cautious in extending credit. This usually means creditors will call and verify your information before issuing new credit. Fraud alerts last for 90 days. However, they can be renewed indefinitely. If you have fraud alerts on your credit report, you are also entitled to free copies of your credit reports every time you establish the alert, or every 90 days. The most common kind of fraud occurs when someone fraudulently uses your existing credit card or bank accounts, and services like IdentityForce do not offer protection against this type of fraud. You can protect yourself for free, though, by signing up for transaction alerts. By receiving alerts every time a transaction posts to your account, you can immediately contact your financial institution when you see a transaction you do not recognize. Many organizations, including some banks and credit unions, offer free credit monitoring service with products like credit cards. You can also get free credit monitoring through services like Credit Sesame, which allows you to monitor your Experian report . If you have been the victim of a data breach, you will likely be offered free credit monitoring as well, although it's important to check if all three credit bureaus are included. Free credit monitoring from companies like Credit Sesame and Credit Karma only monitor one credit bureau. If you want to monitor all three credit reports, you will need to pay for the service. You can still get it for a lower cost than IdentityForce advertises. One of the best solutions is TrustedID. As an AARP member, you will pay $9.17 per month for the service, or $10.42 per month as a non-member. While there are free and low-cost alternatives to most of the services IdentityForce provides that can give most consumers the protection they need, this doesn't mean paid identity theft protection and credit monitoring services don't have a place. If your identity is stolen, the recovery process can be time-consuming and stressful. Also, you are not going to be monitoring public records or the dark web for hidden surprises. And, while you can undertake a DIY approach to credit repair, will you? On average, ID theft victims spend over 30 hours correcting the problem. A service like IdentityForce can help you on the administrative side, if you do not have the nerves or time to commit to restoring your credit. The real value in identity protection services is the breadth of their monitoring as they monitor both your personal and credit information to alert you to potential fraud faster than you may be able to do on your own. You get that and more with IdentityForce.